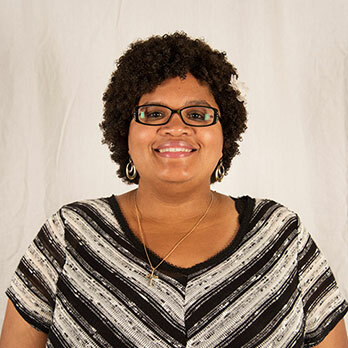 One question we hear a lot is: How can I engage students and families in math over Spring Break? 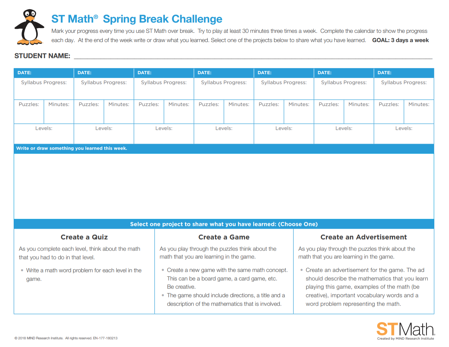 If your school has ST Math, a powerful, interactive, visual math program, you can encourage students to use the program at home over break with this fun Spring Break Challenge. 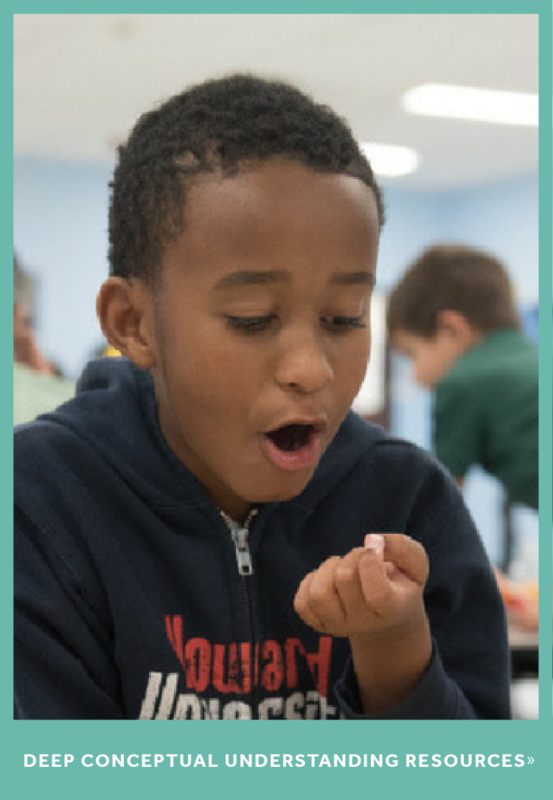 We recommend letting parents know about the challenge and other math resources for parents that are available to engage the whole family in math over the break! Ask your students to mark their progress every time they use ST Math over break and to complete one of the listed projects. These projects will help your students make deeper connections in math by including their math vocabulary, problem solving and storytelling skills. Not only are these fun activities, but they are great informal assessments. Encourage your students to shoot for an individual goal. 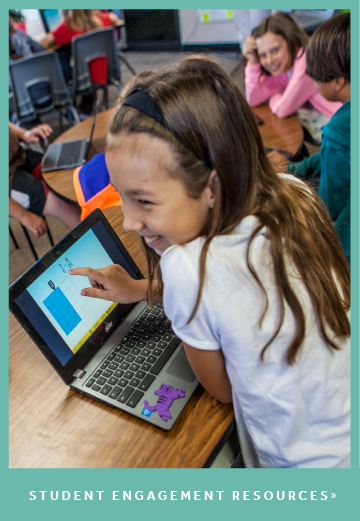 For many students, a great goal is using ST Math for 30 minutes three times a week , or you can create custom goals with your students. Having a goal increases intrinsic motivation to complete the challenge. When you return from Spring Break, allow students to share their projects, and celebrate any goal completions. Be sure to share your success and learning on social media (Twitter or Facebook) and JiJi will respond with congratulations!